CAPE ELIZABETH, Maine (July 23, 2018) – TD Beach to Beacon 10K organizers outlined details regarding shuttle buses, road closings and registration, plus activities and enhancements for the 21st running of the iconic American road race on Aug. 4 in Cape Elizabeth. The Bicycle Coalition of Maine is providing free and secure bicycle parking for runners, spectators and volunteers at Fort Williams with shuttle bus service for registered bike valet runners (ONLY) to the start line. The complimentary bike service is located inside Fort Williams Park, look for signage. Runners can drop off their bikes starting at 6 a.m. and need to pick them up by 2 p.m. Bike parking helps cut down on road congestion and lightens the CO2 footprint of the race. Those interested in the service must register at http://www.beach2beacon.org/race-info/bike-valet/. For more information, email bruce@afitplanet.com. Shuttle buses will return to these locations from 9 a.m. to noon from Fort Williams after the race. 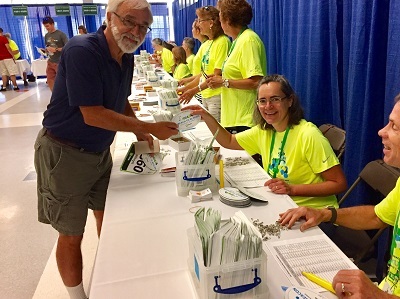 Bib number and tech running shirt pick up for registered runners will take place at Cape Elizabeth High School on Thursday, Aug. 2 and Friday, Aug. 3 from 4 to 8 p.m. Runners will be timed with a single use timing tag (B-Tag) attached to the back of the bib, which must be worn on race day. The race Expo will feature 45 different companies, non-profits and race sponsors, including the Nike Reuse-a-Shoe program where runners are encouraged to bring and donate their old running shoes to be recycled. Many of the vendors will offer giveaways and demonstrations, and food vendors will have free samples. Runner parking near the Start Line will be provided at Sprague Fields located at Fowler and Ram Island Farm roads. For runner drop off, look for a designated debarkation area at Fowler Road. Volunteers and staff should also adhere to the above list. Race organizers are reminding spectators and volunteers along the course to stay completely off the course roads as of 7:45 a.m. – also no walkers in the road at that point as well. Spectators will first see police motorcycles, then wheelchair athletes and then a large press truck ahead of the lead women runners – followed by another press truck ahead of the men and the rest of the field. Children, pets and other spectators need to be totally out of the road. Also, between mile 4 and 5, the press trucks will depart to the finish to arrive before the first athletes cross, so spectators need to be especially clear of the road after Mile 4. Motorcycles also follow the elite athletes and need to have the entire road as well. High School Mile at Fort Williams – The third annual B2B High School Mile will be at 4 p.m. on Friday, Aug. 3 before the Kids Fun Run at Fort Williams. 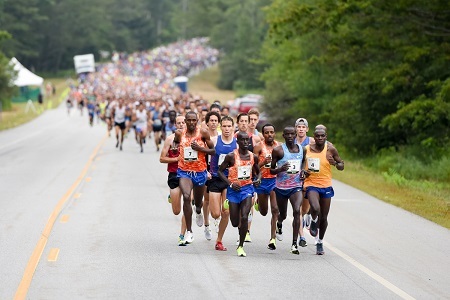 It is a two-loop course that will begin in the vicinity of the Portland Head Light and finish across the official TD Beach to Beacon finish line. Open to spectators, this exciting event will feature more than 35 of Maine’s top high school runners. Medals will be awarded to the top finishers with uniforms provided by Nike. Kids Fun Run – The Kids Fun Run will take place at 6 p.m. on Friday, Aug. 3 at the Soccer Field at Fort Williams. The races will be run in heats at different distances, according to age. If it rains, check the website at www.beach2beacon.org for updates as a decision will be made by 4 p.m. on Friday. Race day registration is available beginning at 4 p.m. onsite. Race Beneficiary – The 2018 beneficiary WinterKids is a Maine nonprofit that teaches Maine children to move, learn and explore in the outdoors during winter. Since its founding in 1997, the organization has helped more than 100,000 Maine children to get outside and active with innovative outdoor education programs for preschools and elementary schools in Maine and New Hampshire. WinterKids will receive a $30,000 donation from the TD Charitable Foundation, the charitable giving arm of TD Bank, America’s Most Convenient Bank®, and further benefit from fundraising and publicity connected to the race. Sponsors – In addition to TD Bank, other major corporate partners include Nike, Hannaford, Poland Spring, MaineHealth, L.L.Bean, IDEXX, Northeast Delta Dental, NEWS CENTER Maine, Olympia Sports, ON Semiconductor and Dunkin’ Donuts. The TD Beach to Beacon is directed by Dave McGillivray of DMSE Sports, who also serves as race director of the B.A.A. Boston Marathon. For additional information about the race, visit www.beach2beacon.org, and follow the race on Facebook, Twitter and Instagram.